WHERE PEOPLE LOVE TO TALK! INTERESTED IN SOME FUN & ADVENTURE? From heritage trails to coastal hiking, from surfing to horse riding & archery to scenic walks we are sure to have an activity for you to enjoy! WHAT WILD ATLANTIC WAY ADVENTURES ARE YOU UP FOR? We offer a range of activities & packages with something for everyone all year round! 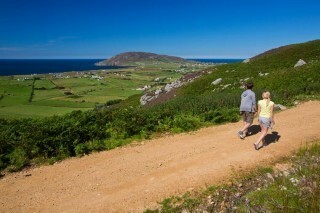 Discover the inspiring culture & heritage that Inishowen offers. Unforgettable scenic hikes that will lift your spirits. A fun-filled program of activities to start your adventure! 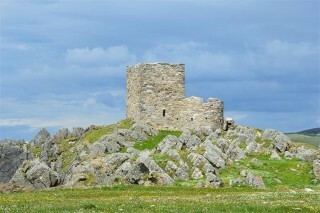 Clonmany is one of the best places in the world to learn English. GREAT LOCATION. GREAT FACILITIES. GREAT PEOPLE. 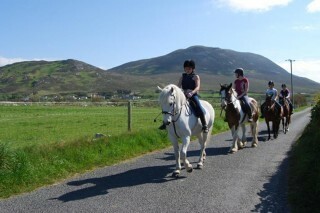 The Wild Atlantic Adventure Centre is located on the rugged Inishowen peninsula in the north of County Donegal. Inishowen is full of natural beauty, steeped in heritage and traditions ensuring your adventure with us will leave you with an unforgettable memory. Our premises which are basecamp for all your adventures with all accommodation only minutes away you have the ideal base to start exploring Inishowen on your adventures. We can provide a complete package tailored to your needs, catering for various types of traveller and group size which can include accommodation if required. “We went as a group of 21 adults from Pats Pizza and Pats on the Square in Letterkenny. We had no idea what to expect as only a few of us had ever been up on a horse, we need not have worried, Catherine, Bernard and their team were brilliant. We were made feel very welcome. “This was an absolutely brilliant day out for the children's school tour. It was well organised and the children thoroughly enjoyed it. To provide a first class, safe and memorable experience we will work with with all visitors to ensure the adventure lives up to expectations and more! From all of us at the Wild Atlantic Adventure Centre, we look forward to hearing from you and being part of your adventure! Choose from the following packages or contact us to tailor make your own adventure! © 2017 All rights reserved. Website by Pixel Perfect.